Power flushing | S.Worrall Plumbing & Heating. Professional power flushing covering Leighton Buzzard, Dunstable, Aylesbury and Milton Keynes. Is your heating system slow to warm up? Any of these symptoms could indicate that your system has circulation and flow problems resulting from internal corrosion and the subsequent formation or rust, sludge and scale deposits. A power flush can restore circulation and efficiency to the heating system by removing these undesirable products. It purges them from the system and replaces aggressive water with clean water, chemically treated with inhibitor to prevent future problems. What happens during power flushing? The power flushing pump is simply connected into the heating system either across the standard circulator pump couplings, across the tails of one radiator or wherever most practical. Power flushing is a highly effective cleansing operation which works by pumping water at a much higher velocity than usual through the heating system, to loosen and mobilise harmful corrosion deposits and to suspend them in the rapidly moving water. The process is made more effective by specialist cleansing chemicals and an instantaneous flow reversal device which creates turbulence in the radiators to optimise 'pick up' of the debris. Additionally it is pumped through a large magnet which aids in the collection of ferrous debris from the oxidisation process. Once loosened the unwanted debris is purged from the system with clean water. At the end of the flushing process the system contains purged clean water and reinstatement of the system to normal operation. During the power flush process, radiators are individually flushed without removing or disconnecting them from the system, by directing the full output of the pump through each radiator separately. Modern boilers developed to minimise fuel costs and pollution have compact heat exchanges with narrow waterways and this makes them more susceptible to problems caused by debris in the water. 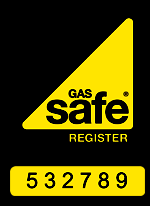 Boiler manufacturers insist that heating systems are thoroughly flushed according to BS7593:2006 when installing a new boiler. A power flush is far more effective than traditional methods and ensures that the boiler installation complies the the 'best practice' standards. At S.Worrall Plumbing & Heating we use only the best power flushing equipment and chemicals chosen to best suit the job in hand. We use Kamco power flushing machines, recognised as the industries best. We are fully trained experienced professionals at power flushing heating systems. A power flush removes sludge from your central heating system restoring heat to radiators and improving your boilers efficiency. Call us for a no obligation quote to power flush your central heating system, we cover Leighton Buzzard, Linslade, Dunstable, Milton Keynes, Aylesbury and the surrounding areas.